If you are holding an event within the next couple of months and are struggling to come up with a theme, you are not alone. 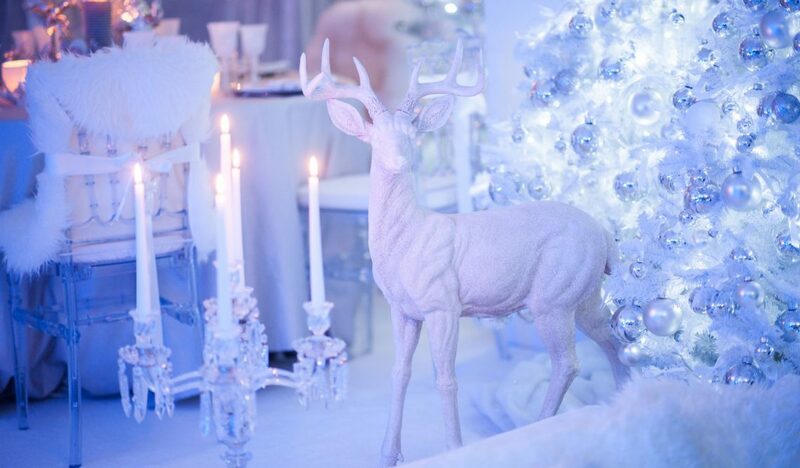 It is hard not to go for the typical seasonal trends, such as snow and ice, or Christmas festivities. You obviously want your event to stand out and have the wow factor, but not stick out so much that it looks weird or out of place. The trick is to capitalise on the trends that work particularly well in winter, and then take them to the next level. So if you are set on sticking to a Christmas theme, have a charismatic Christmas band that get the crowd going, alongside Christmas jugglers. Having a Christmas DJ to kick-start your event is the perfect way to get people dancing, mingling and having fun. You can tailor the music to the guests to ensure the night is a hit. So find out which genres appeal to the majority but make sure that the majority of the tunes played are Christmas hits. You can ask your guests for their worst Christmas song and put together a playlist alongside their most memorable Christmas song with that memory. Make it a really personal event by using Christmas hits and other classic songs. This classic film set in Russian lends itself perfectly to a winter theme. Think of cold Russian nights, the snow-capped mountains, big Russian furry hats and coats, and style your event with Russian food and drinks and icy décor. Get your guests to dress up in typical Russian attire, think KGB assassins, remote village farmers or aloof models. Set the décor with backdrops of iconic Russian cities and use dramatic Eastern European music like they have on The Apprentice to set the mood. From the freezing temperatures of Russia we take the thermostat up a few degrees and land on a tropical beach, somewhere in the Southern Ocean. Warm your guests up with a beach-themed event that has sand, cocktails and seaside decorations. Position a cocktail bar in the centre of the event and have mixology lessons for your guests. Hire a steel band to play in the corner and use deckchairs to create a relaxing vibe. Ice naturally lends itself to a winter event, but on its own it can be tedious and boring. Bring the excitement into your event by adding a fire element. You can put on a fire and ice show with professional performers, or get ice sculptures to adorn the tables in the event. There are even companies that will teach you how to sculpt ice. You can get the fire performers to be the main event or to put on a show in the background whilst your guests are carving away at their sculptures. I’m an employee, get me out of here! Ok, stay with us. You might not think that this is a winter-themed idea but the fact that the programme is on in the winter months and therefore is totally topical is enough reason for us. When you think about what the theme of an event should ultimately do, it should get people interacting, talking and participating with each other. This ticks every box in our opinion. So to organise it, get some insect-based food such as chocolate covered ants and grasshoppers for an eating trial, hid stars in slop like mushroom soup and just let your imagination run wild!